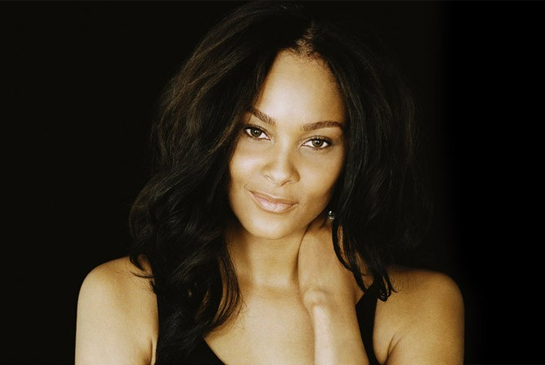 Menaye Donkor is a model/actress, entrepreneur and philanthropist. Menaye Donkor was born in 1981. She was brought up by her parents in Accra, Ghana, and is the youngest of seven siblings with four brothers and two sisters. At the age of seven Menaye inherited the job title of “Royal Stool Bearer” for her paternal grandmother, who is the Queen mother of Agona Asafo. She graduated with honors in marketing from York University in Toronto, Canada. In her early twenties she started modelling after winning the “Miss Universe Ghana 2004” pageant and graced the covers of many magazines in Ghana. She also did editorial work for magazines in South Africa, Milan and Canada. In 2004, soon after the pageant, she established the Menaye Charity Foundation, and took over the running of the Menaye School Of Hope which her parents set up in 2000. Menaye is now solely responsible for raising funds to support the school, which provides quality education to rural under privileged children. So far, over 500 children have been through the school and the facilities are continually expanding. Through her Charity Foundation, Menaye also supported an orphanage in the eastern region of Ghana, providing medical care for over 600 orphans infected with HIV or AIDS. In 2006 Menaye met Inter Milan footballer, Sulley Muntari, at the World Cup finals in Germany. They became a couple the following year and she began managing his brand under her management company MENMUN Ltd. In 2010 the pair got married in Accra on Christmas Day. Her business interests are primarily in property and she runs her own property development company, Zafra ltd, which focuses on renting out and developing properties in Ghana’s capital, Accra.